[W]hen it comes to disentangling natural variability from anthropogenically affected variability the vast majority of the instrumental record may be biased. 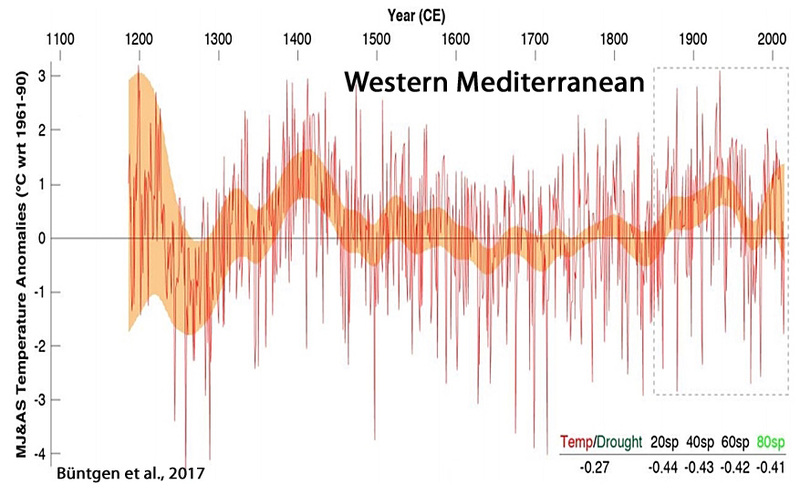 … Although the causes of the recently measured slowdown in global and regional warming during the last decade are still debated (Karl et al. 2015; Fyfe et al. 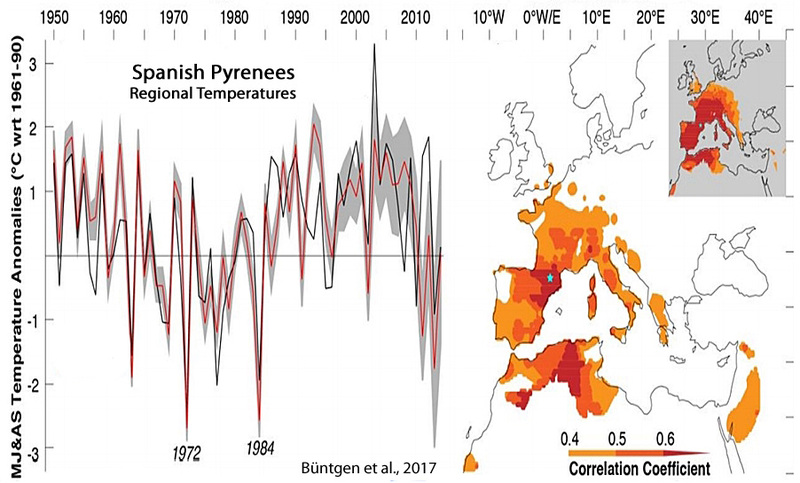 2016), our study provides the first long-term proxy evidence for this temperature decline over the western Mediterranean basin. 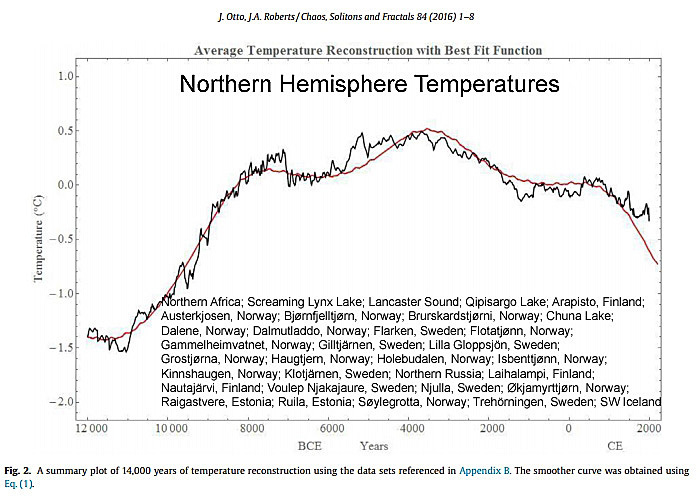 This finding is in line with local, regional and sub-continental meteorological observations, and consistent with the observations by Gleisner et al. 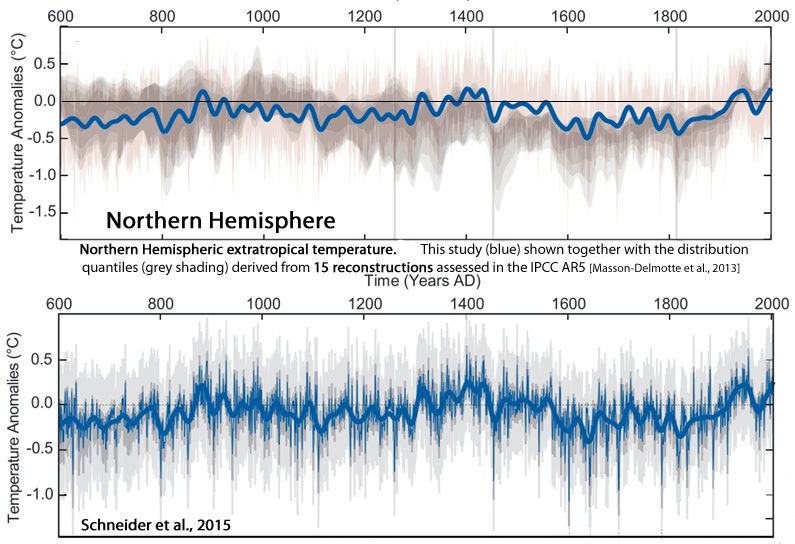 (2015) that the post-2003 pause in rising mean surface temperatures is most strongly expressed at mid-latitudes. 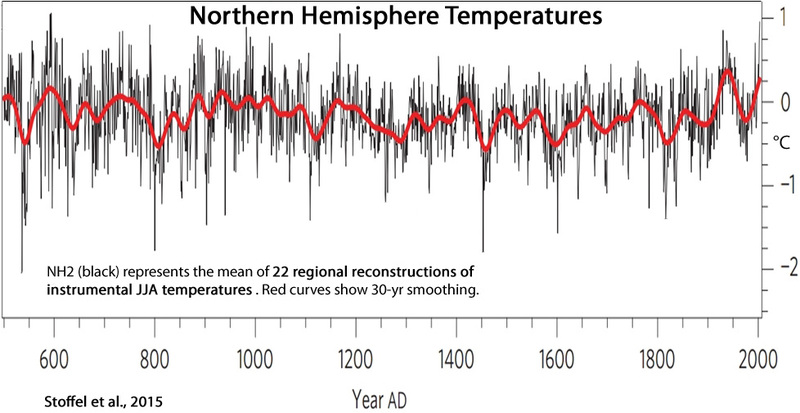 The reconstructed long-term variability exceeds the pre-industrial multi-decadal to centennial variability in four state-of-the-art climate model simulations.